Some time ago, we ran a story on a boutique German synth called the Rozzbox. 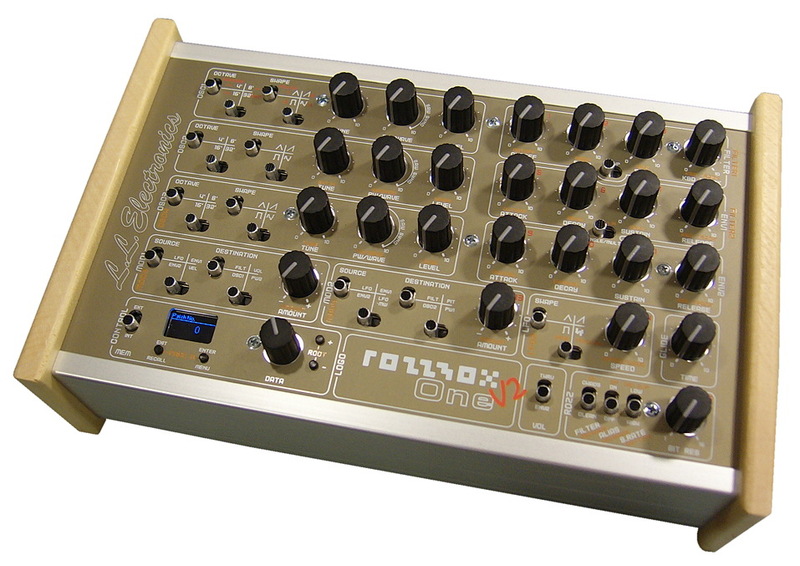 Laden with knobby goodness, the Rozzbox was available only in limited quantities, and only to those fortunate enough to be in Germany (or somehow miraculously got in touch with the creator and pried one from his hands). Tweakers rejoice! The Rozzbox has finally made it to the US, with distribution being handled by Big City Music. Still only available in limited quantities, we suspect that the Rozzbox will go fast – even at nearly $1950USD. Its unique architecture sets its tone somewhere between a broken-DX7-run-through-a-Sherman-Filterbank and an old-school gaming system turned synth. Full specs available on the Big City Music site, and demos available on the Rozzbox site (in German). Ed. : Looks like this one has tweaked the interest of Chris @ Audio Damage, too.